The LEGACY Foundation will present an event designed to promote productive dialogue and solutions for youths who struggle academically. 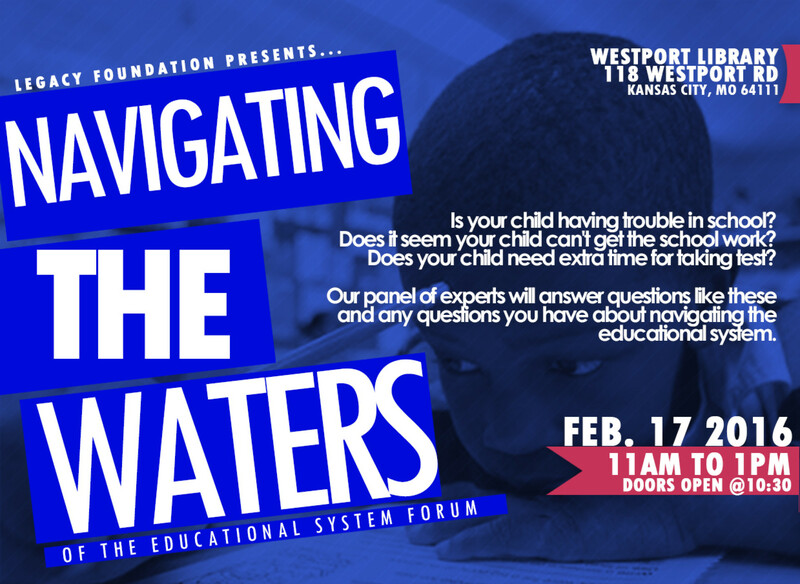 A public forum titled, “Navigating The Waters of The Educational System II” is scheduled to take place Saturday, Feb., 27th at the Westport Library located on 118 Westport Road in Kansas City, Missouri. The event will be held from 11 a.m. until 1 p.m. Doors open at 10:30 a.m. There’s no admission fee. 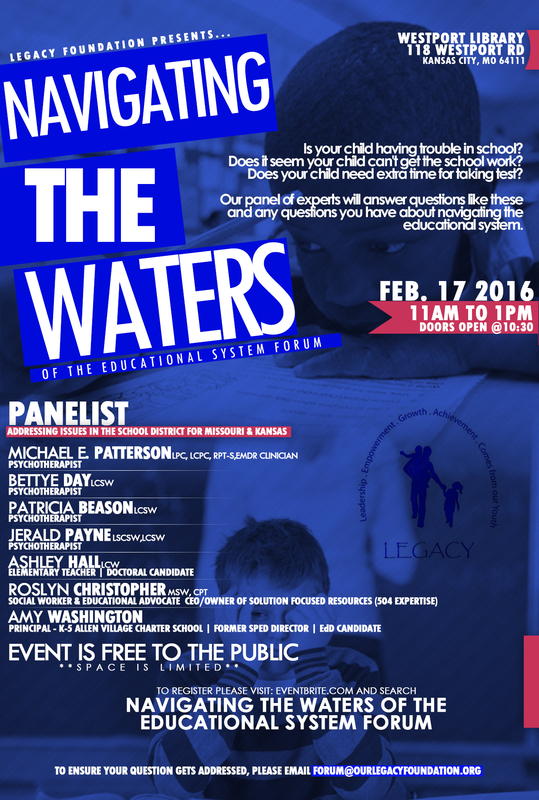 The discussions will address educational issues that have a negative impact on children in both Missouri and Kansas. Among the esteemed members of the panel are: Michael E. Patterson, Bettye Day, Patricia Beason, Jerald Payne, Ashley Hall, Roslyn Christopher, and Amy Washington. The previously referenced individuals specialize in the realms of education, social work, or psychotherapy. The panelist will present ideas and solutions which are targeted to help youth improve grades, standardized test scores, and adapt to the rapidly changing culture of the education system. If there’s a question you desire to have answered during the forum, submit the inquiry to FORUM@OURLEGACYFOUNDATION.org. Click HERE for tickets. This event is free, but please reserve your spot.